I love the way blogging seems to make me really aware of the seasons and holidays. Perhaps it’s just me trying to entertain 2 small children or spending too much time on Pinterest. 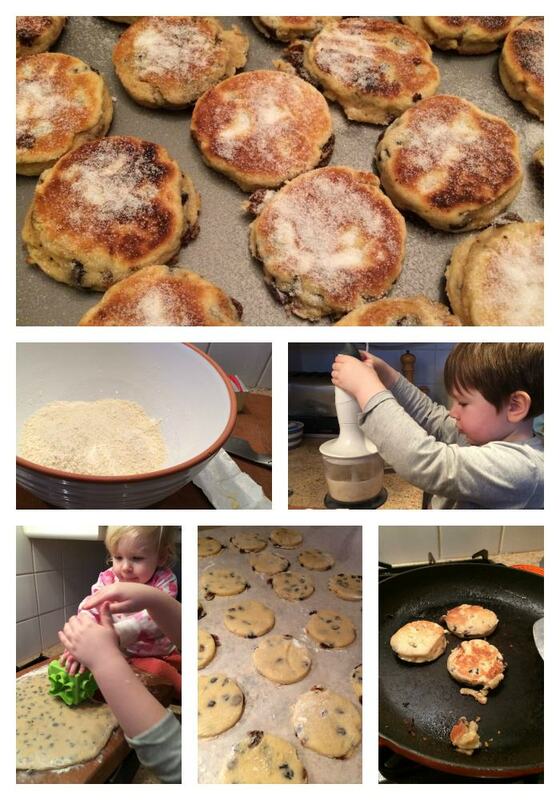 Anyway St David’s Day seems to be our next holiday so we tried making Welsh cakes. A couple of years ago we had a lovely weekend in Cardiff Bay and, as I was pregnant at the time, I enjoyed lots of Welsh cakes. They are so simple to make I’m annoyed that I haven’t made them before. It’s also such a simple recipe and method that they’re great for making with kids. To make the cakes first mix the flour, sugar and spices together then place in a food processor with the butter (cut into small cubes) and mix. Place into a mixing bowl, add the rest of the ingredients and mix again until you have a soft dough. On a floured surface roll out your dough until it’s about half a centimetre thick and cut into rounds. Grease a griddle pan and fry on a low heat for 4 minutes on each side. Remove from the pan and sprinkle with caster sugar. Delicious eaten warm or cold. Ha! We’re trying these next week.I hope ours come out as tasty looking as yours. They look fun and easy to make. I have no idea when St David’s day is tho? It’s pancake day soon too isn’t it? I have never made these before but you make them sound very easy! Ooooh, I love love love Welsh Cakes. These ones look delish. I know what you mean about blogging making you more aware of holidays! These look good! yum, i loooove welsh cakes! I haven’t baked in many years (I know, poor Aaron), but looking at these has my mouth watering…. I may just have to do this! Thanks for joining in with the Parenting Pin It Party this week. Looks great, and love that they are made in a frying pan! thanks for sharing on craft schooling Sunday! 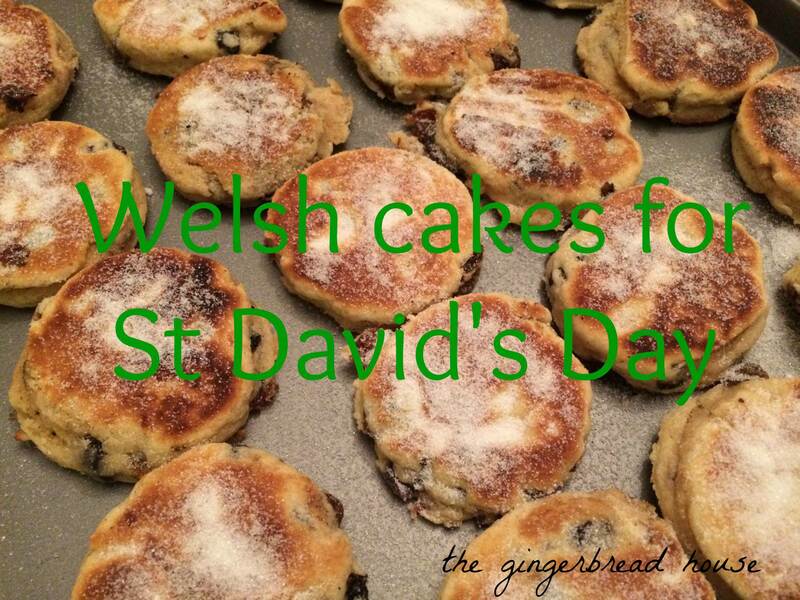 Made these today for St. David’s Day – they were fantastic! So yummy!! And my 3 year old loved helping – great activity for her.